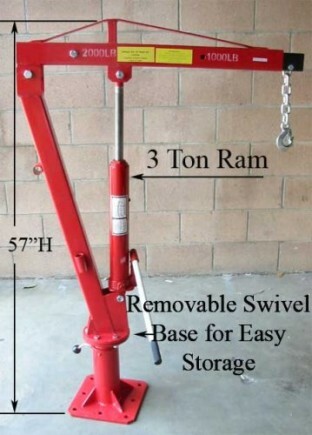 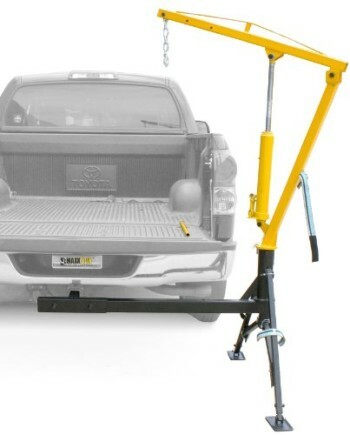 Mounts immediately to the bed of truck or trailer for simple product loading/unloading. 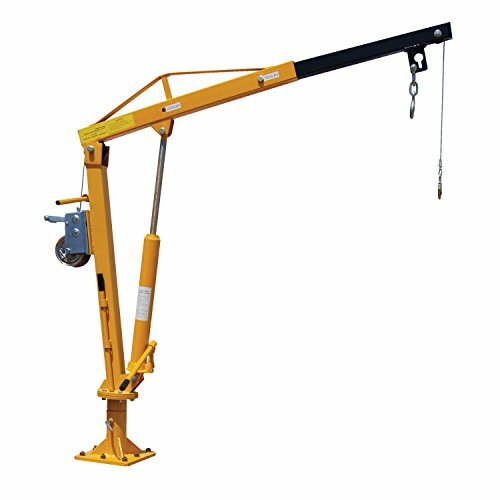 Crane rotates 360 degrees to get admission to pieces from either side and telescopic boom extends succeed in for greater versatility. 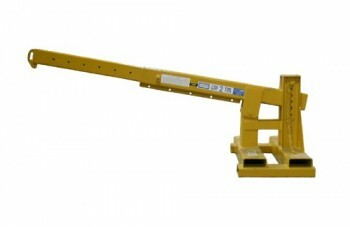 Steel construction with chip-resistant end. 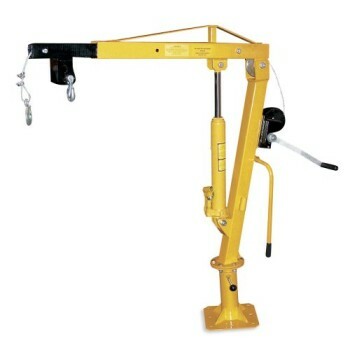 Elevate hook has safety latch. 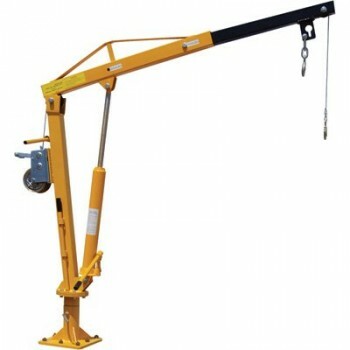 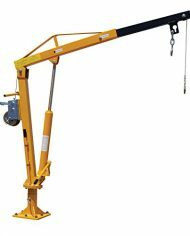 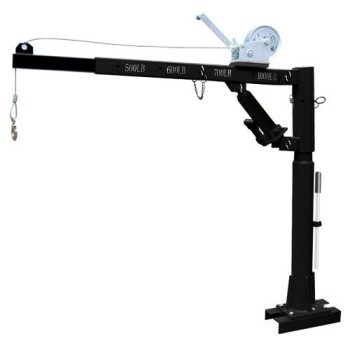 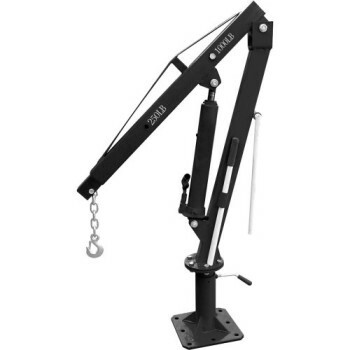 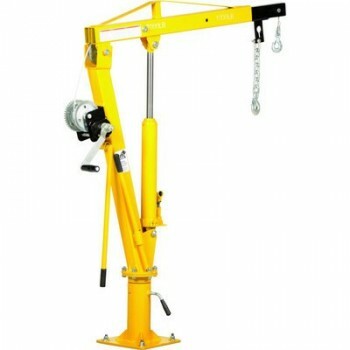 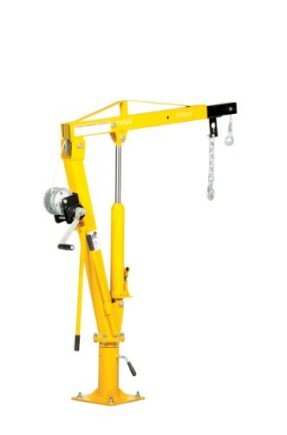 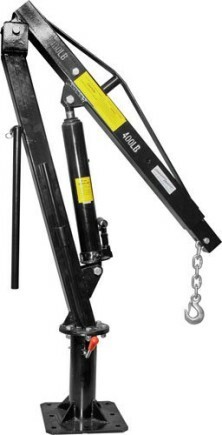 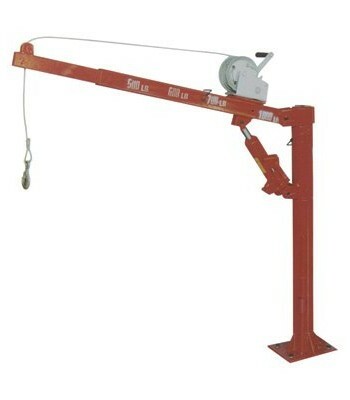 Crane provides a convenient hand crank winch that raises or lowers the lifting hook, whilst the hand pump lifts the boom. 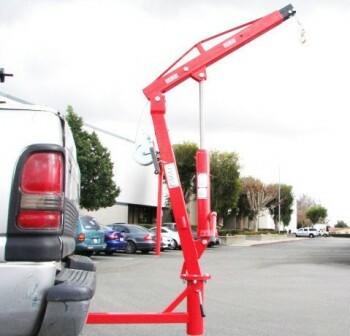 10-1/2″ x 10-1/2″ base plate has pre-drilled holes for simple mounting.